Students show their understanding of what they have read through tableau. In groups students collaborate to plan and create their frozen pictures with their bodies. 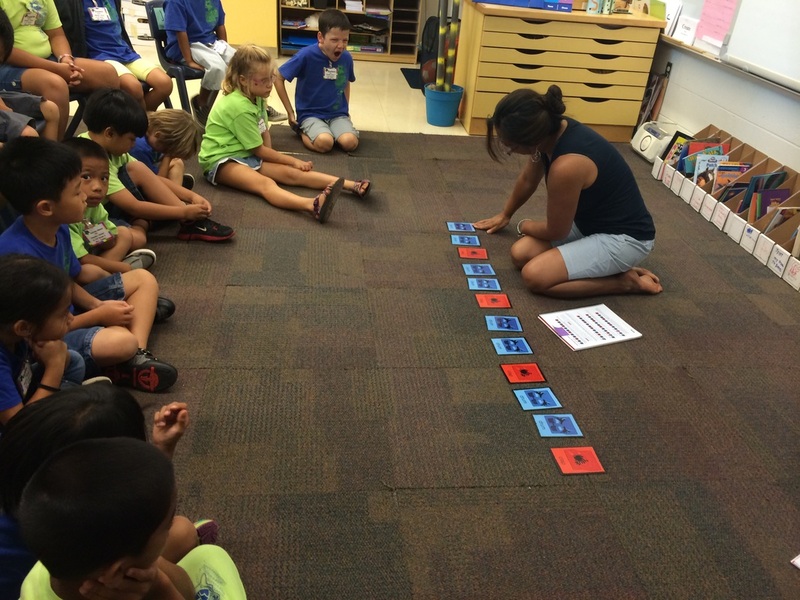 Students in kindergarten work with counters and ten frames to compose teen numbers. This helps them gain visual and conceptual understanding of a teen number as a ten and the ones left over. Fifth grade students show their understanding how energy changes and transfers from one form to another. 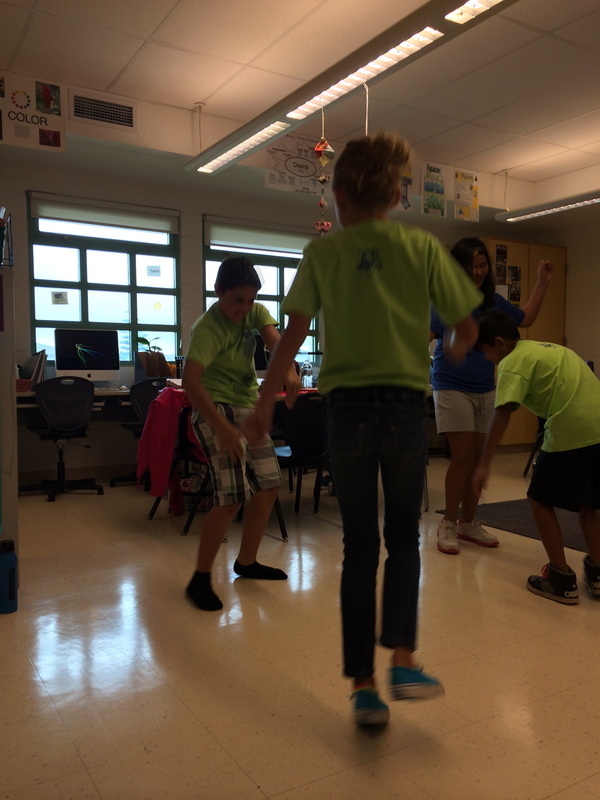 Mrs. Acopan leads her students through pattern movements based upon Rhythm & Movement Cards. In this lesson students learned how to label patterns with letter names; AB, ABB, ABC.